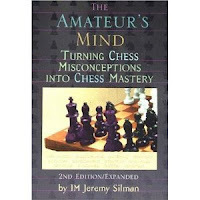 Jeremy Silman is one of those rare authors who explains chess so the average player can understand it. CJS Purdy was another one and I have long recommended anything written by Purdy and feel the same about Silman. In fact, I think Silman has taken some of Purdy’s original stuff and improved on it. In this book, Silman shares the thought processes of his students as they worked on positions and he provides running commentary on their errors in thinking and offers advice on how to correct those errors. The result is a hefty 445 pages packed with instruction. Then, to see if you learned anything, there are 26 test positions and solutions. What is important is that the solution aren’t just given in a series of moves. No, the solutions cover 100 pages with detailed explanations. First he illustrates a particular strategic theme or tactical technique and then proceeds to explain it in a way that average players can understand and he manages to do so without cluttering things up with reams of analysis. In the games the students are generally rated between 1100 and 1700 and are first asked to describe the imbalances in the position. 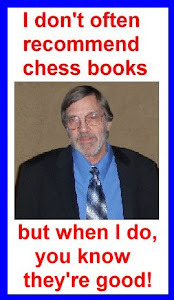 So based on that consideration it may be a good idea to read this book after reading How To Reassess Your Chess but it’s not absolutely necessary as long as one understands what he means by imbalance. Imbalances are the difference between the two sides: better development, poor king safety, pawn majority, possession of open files, etc. Then based on the student’s evaluation of the imbalances, the student is asked to describe his general plan, and then explain his moves. Of course the students are generally barking up the wring tree and Silman then explains the imbalances, their meaning and the correct course of action. It is interesting to note these instructions are mostly based on recordings from actual tutoring sessions. He also deals with typical flaws in the play of many lower-rated players: playing without a plan, the habit of playing pointless one-move threats, wishful thinking, laziness and their fear of phantom threats while remaining obliviousness to real threats, just to name a few. Silman also tries to explain when general principles do not apply. Normally this book is recommended to players rated below 1800, but I would add another 200 points to that and say anybody rated below 2000 will find this book valuable.